This was really a special project to work on, and the Jennings' idea of creating an heirloom artwork that honored the spirit personalities of each of their three children was nothing short of inspired. 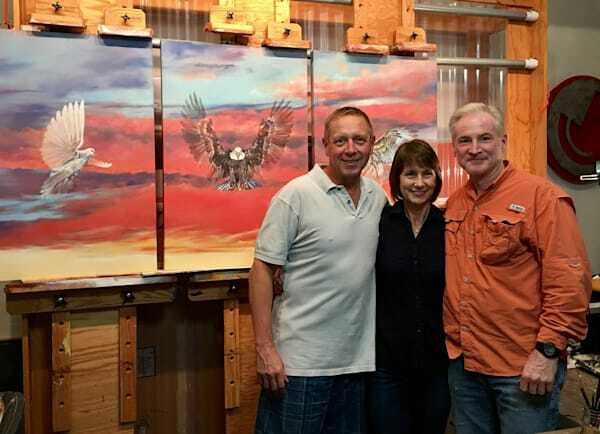 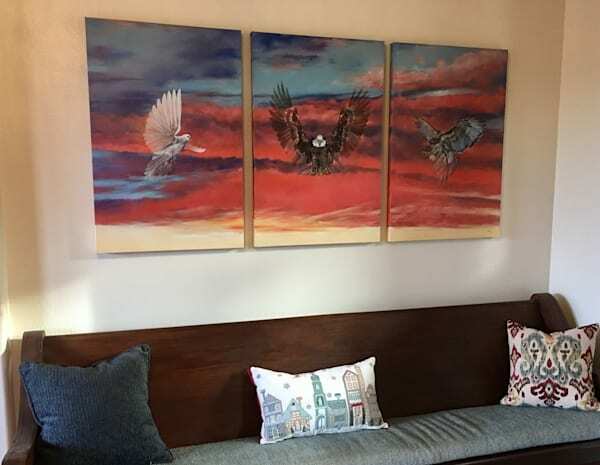 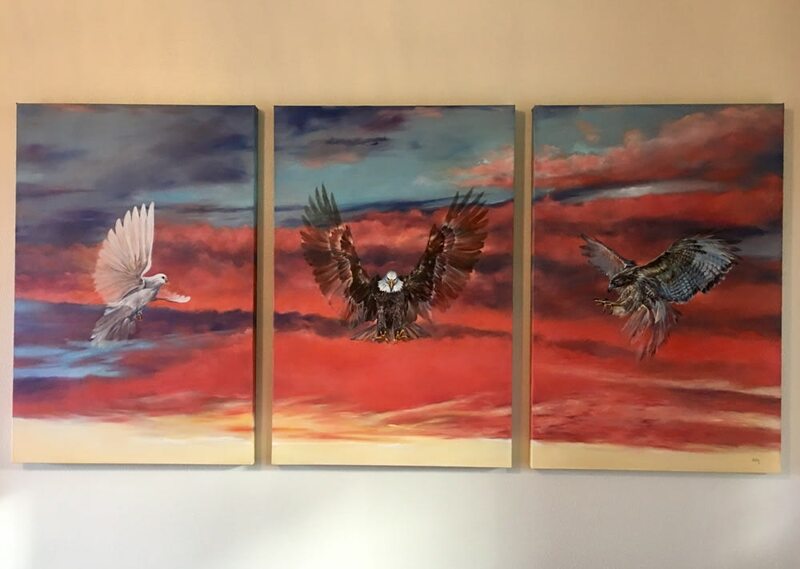 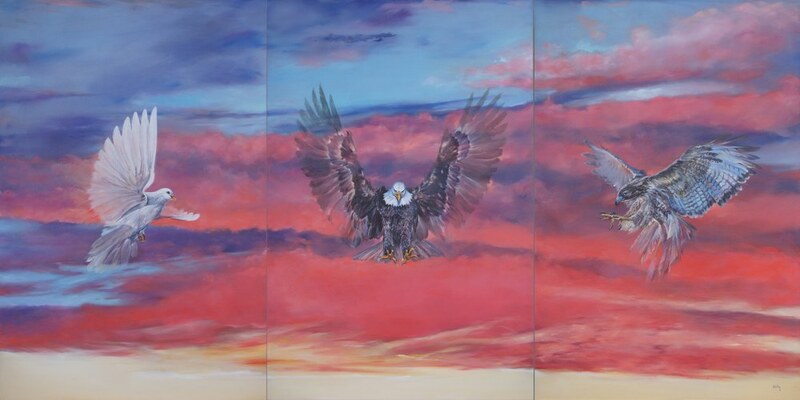 The couple plans to show the piece in their home for many years, and eventually gift each adult child the panel that represents them; a dove, eagle, and falcon. "Birds of a feather..."